Between September 2018 and February 2019, we received hundreds of entries during the recent season of Nautilus Book Awards. For two decades, our purpose has been to recognize and celebrate books that support spiritual growth, high-level wellness, green values & sustainability, and positive social change. The new Nautilus Season will launch on Saturday, September 21, 2019. Entries will be accepted at the Early Bird Fees until October 31, 2019. See the Entry Guidelines for details. We hope that your book will be part of the celebration of Better Books for a Better World! Please use the following e-address for all Nautilus-related correspondence. We look forward to hearing from you! health educator, and devoted book lover! 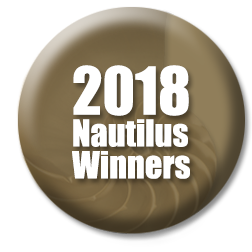 Marilyn McGuire, our founder, continues as a consultant to the Nautilus program, and has trained many members of the Readers and Judges Group to review the submitted books in the well-developed and thorough Nautilus Awards process. We are grateful to all the reviewers, judges, staff, advisors, volunteers, and other professionals who are involved with the program. To our Authors and Publishers – We are deeply grateful for your support over the years – and we look forward with joy to the arrival of new entries in the 2018 Nautilus Season. YOU may have a Nautilus Winner! Please check out information HERE. 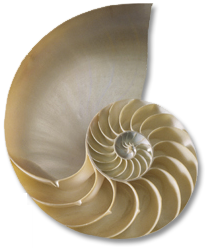 Several of our new Award-Winning Authors have asked about brief messages describing Nautilus for social media. Here are a couple of suggestions that may be helpful for this purpose! You are welcome to use any part of these messages. For two decades, Nautilus Book Awards has recognized books that transcend barriers of culture, gender, race, and class, and promote conscious living & green values, spiritual growth, wellness & vitality, and positive social change. Last year, Nautilus received entries from 36 States of USA, and from 12 other nations. Dedicated to excellence and high standards of both message and presentation, the Nautilus program celebrates books that inspire and connect our lives as individuals, communities and global citizens. Nautilus is one of the significant Book Award programs that welcomes entries from the full range of the print-publishing spectrum: Author Self-Published, Small Press (2 to 10 books annual & from multiple authors), Small Press-Hybrid, and from Large Publishers. All the books selected as Winners are potent seeds for the growth, coherence, and healing of our culture and world. The Nautilus Mission is to recognize and celebrate a wide subject-range of Better Books for a Better World. Thank you for supporting and sharing on social media about Nautilus! For the upcoming 2019 Season: Entry packages postmarked from Sept. 21 through Oct. 31, 2019 will benefit from Early Bird Entry Fees. Entries postmarked Nov. 1 through Dec. 31, 2019 will have Regular Entry Fees. Entries postmarked from Jan. 1 through Feb. 8, 2020 will need to pay Final Entry Fees. See our Entry Guidelines page for details.